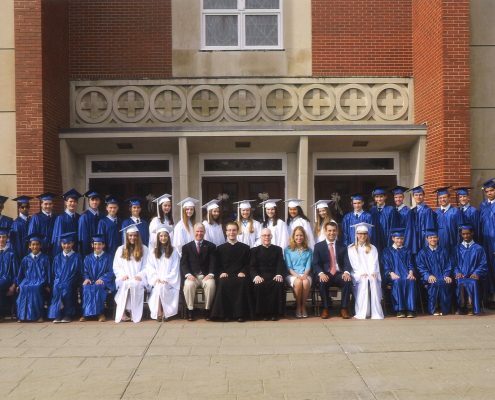 OLM School held graduation ceremonies for its 31 8th graders on Monday, June 11 at OLM Church. 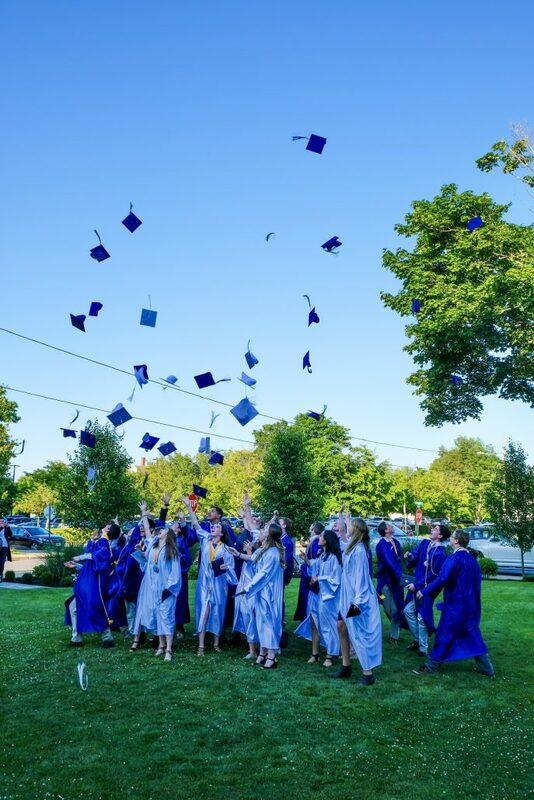 In a ceremony led by OLM Pastor, Father Bernard A. Healey and OLM School Principal, Scott W. Fuller, the OLM graduates received their diplomas and listened to speeches and readings by their fellow graduates. They also sang the school song “Circle of Mercy” while giving roses to their parents as a sign of gratitude. 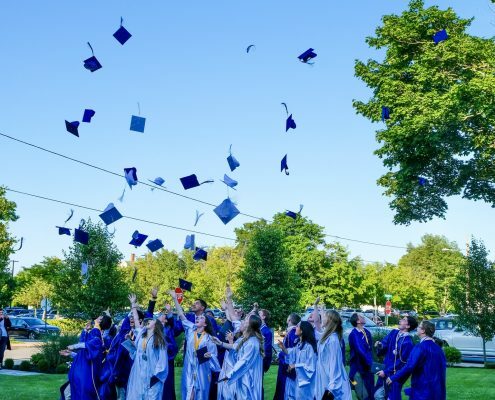 The Address to the Graduates was delivered by Student Council President Mae Legare who encouraged her classmates to use the strong moral compass and wisdom instilled in them while at OLM as they continue on their journey to high school. 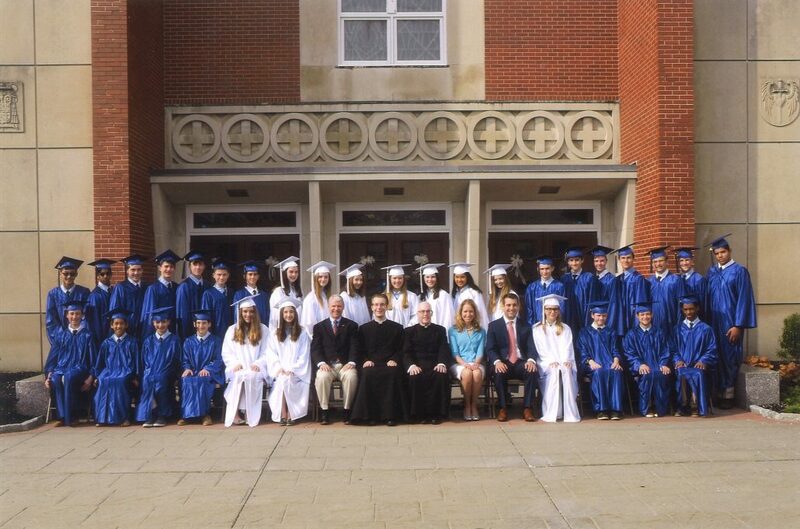 At an awards celebration on Sunday, June 10 which was held after the graduates celebrated mass as a class with the parish community, several students were honored with individual recognition for excellence in a variety of subject areas. In recognition of their fine academic achievements, six OLM students received Gold Presidential Awards, indicating that they had achieved at least a 95 overall average for each middle school year. Five students earned Silver Presidential Awards, with at least a 90 average for each middle school year. Several OLM graduates received merit scholarships to Bishop Hendricken, Prout and Bay View. ❖ Academic Awards: Awards are given to students who achieve exceptional grades, participate in class, and show enthusiasm for the subject. ✶ Presidential Awards: The Silver Award (*)is given to students who achieved at least a 90 overall average for each middle school year. The Gold Award (**)is given to students who achieved at least a 95 overall average for each middle school year.